There are an estimated 3 million canker sore cases a year. But knowing that these annoying and painful sores affect nearly everyone doesn’t necessarily make them any easier to tolerate when they happen to you. At our dental office in Silverdale, we understand that canker sores are uncomfortable and can hurt. 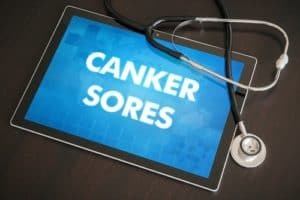 That’s why we’re here to share some information about canker sores and how you can help ease their discomfort. Since canker sores will heal themselves most of the time, a visit to your dentist in Silverdale is probably not necessary. However, if the sore lasts longer than three weeks, is causing severe pain, or seems to create other sores, it’s best to schedule an appointment. Your dentist will decide if you could benefit from a corticosteroid or prescription-strength antimicrobial rinse to help fight off the canker sore. If you have concerns about any changes in your mouth, we encourage you to call our Silverdale dental office today. We’re here to help.